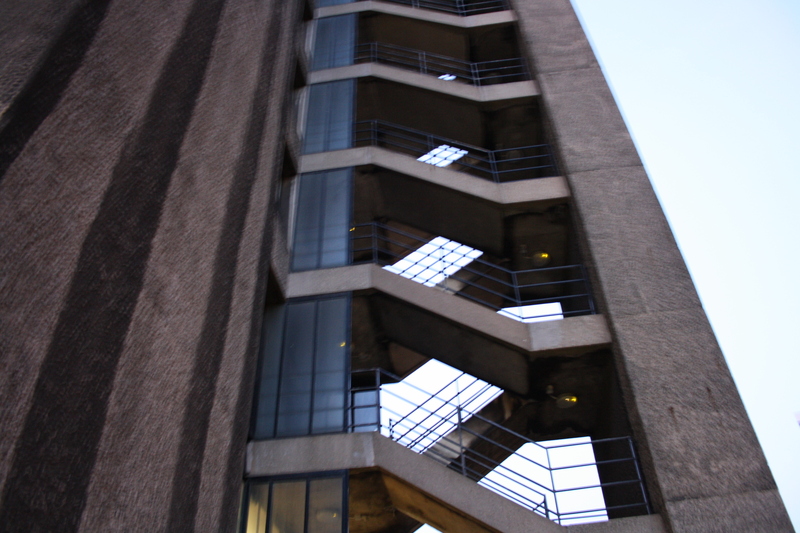 The Barbican YMCA has one of the best fire escapes in the City. This is at the rear of the building, easily viewed from the Barbican flats. It’s a real pity that the current users of this building have so little interest in the design. The staircase is fabulous, the interior one, even more so. The gym is a disaster, it is just waiting to be turned into a boutique hotel.